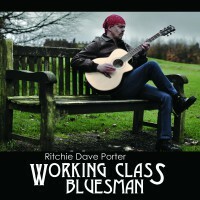 From the opening filmic feel of ‘Blues At Sunrise’ to the conceptually opposite of ‘Blues At ‘Twilight’ – two ambient blues instrumentals that top and tail Ritchie Dave Porter’s ‘End Of The Line’ – this is an album that takes us on an evocative musical journey played mainly on acoustic guitar, with one electric track. ‘Blues At Sunrise’ sets the scene for an impressionistic ride, while the closing ‘Blues At Twilight’ could almost be Roy Harper. 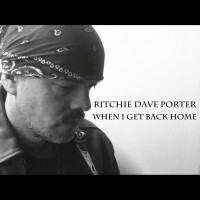 ‘End Of The Line’ is a rootsy blues album, but Birmingham’s RDP is equally strong as a singer-songwriter and instrumentalist. What glues his versatility together is the emotional weight of his songs and more importantly the way he delivers them. 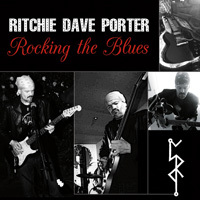 The former power trio guitarist mainly lets his acoustic guitar do most of his talking and when called on to sing, he frequently double tracks his voice to make a significant impact. He knows the value of dynamics and the use of space and time, on an album that’s big on making his notes count rather than the amount he actually plays. Together with former producer Michael Tingle who contributes drums on ‘Happy Home’ – the only electric track on the album – the duo explore a sparse and rough-edged feel on a track that sounds like a one-take garage band cut. ‘Dog Without A Bone’ is essentially a conceptual statement of the joy he gets from playing his preferred genre of the blues, as he adds some nifty picking to a song that ends all too quickly. ’12 Long Hours’ initially sounds mundane, but it’s a true story about clocking in the hours at his day job. When he adds a few choice guitar flurries you can’t but help be drawn in by his clock watching as he pines for his guitar. ‘Let Me Tell You About The Blues’ is another song full of genuine emotion, lovely finger work and a warm vocal that emotes his inner feelings. It’s on this track that RDP nails his oeuvre. He does so by letting his double tracked acoustic resonate, so that when his voice fills the space left by the guitar, it makes the kind of emotional impact that leaves the listener wanting more. ‘My Father’ further emphasizes the natural flow of the album, on a song about the loss of his dad. In sharp contrast, the almost gypsy jazz feel of ‘Baby Why You Treat Me So Bad’ makes good use of some old school repetition of the opening lines for maximum effect. 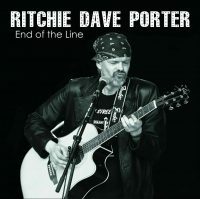 You can see why ‘End Of The Line’ made it as the title cut, as his voice, guitar and the arrangement are perfect. There’s real feel, deep emotion, great playing and that ever present dynamic. And when he shouts out; “let me play my guitar”, he restricts himself to the briefest solos before calling a halt to a mesmerizing track. 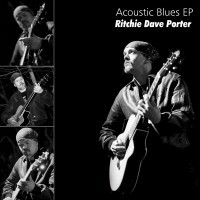 While there are plenty of technically excellent acoustic blues practitioners out there, RDP combines his own estimable chops with real feel and the ability to mirror a lyric with a single guitar line. He builds the track, delivers the line and let’s it hover, float and then gently descend, before resolving the song and moving on to a different but related piece of music. In many ways ‘End Of The Line’ is a misleading title as it’s an album with a bigger picture that draws on the emotive base of acoustic blues to share everyday feelings.